Anyone who begins to delve into the Kennedy assassination in Dallas will eventually encounter various references to Red Bird Airport, a small private airfield in the south part of Dallas. On November 22, 1963, because of a 1:30PM notice from the FBI to report suspicious activities, a Red Bird tower operator became so suspicious of a certain aircraft that he made repeated calls to the FBI. The plane in question had remained ready for takeoff for some time and departed only after news of a suspect in the assassination capture was announced – it then reversed course from its stated departure path, flying south rather than north. The FBI number remained busy and the tower operator finally gave up. The plane then returned some time later. While the flight itself may well have been innocent, the airport tower notice to the FBI required a response and no reports indicate any similar notice to the Dallas Police, no mention is made of any separate, proactive DPD or Bureau inquiry at airports or airfields. The incident certainly raises questions about any Dallas Police Department inquiries at Red Bird, as well as whether any real DPD effort was made to check private flights out of Dallas on November 22nd. On November 29, 1963 the FBI did interview an individual from Red Bird following the assassination, apparently due to a report from local sources. The individual was Wayne January, operator of an aircraft sales and charter business located at the airfield. January had remarked to friends about a couple who had inquired about renting a plane for a long distance flight. He recalled he had been suspicious of their intent and ability to pay. After the assassination he also thought there was a resemblance between a third person with them and Lee Oswald. During the FBI interview, January also mentioned that he had been frequenting the Carousel Club, and so the FBI agents spent a great deal of the interview pressing him on a possible connection to Ruby. Vince Bugliosi felt it necessary to address the Red Bird Airport topic in his book Reclaiming History. His treatment of the subject is relatively limited; his overall view seems to be that nothing significant could have happened in or around Red Bird since, according to him, the Dallas police investigated matters there. As his only source for that assumption Bugliosi cites anecdotal information from Dallas Assistant DA Bill Alexander to the effect that, “Will Fritz had sent people out there and turned up nothing suspicious.” Regardless of Bugliosi’s claims, there seem to be no records of a DPD inquiry at Red Bird Airport. In his own discussion in Reclaiming History, Bugliosi limits his discussion of the episode to Lee Oswald and just one witness. Regarding the former, he only notes Red Bird as a possible escape route for Oswald. Namely, that after the Tippit shooting, Oswald could have caught a bus from near that location in Oak Cliff with Red Bird Airport on its route. This incident has been extensively discussed in print by author Matthew Smith, beginning in his book. Bugliosi also delves into the story, taking January to task for apparent inconsistencies over time and an issue with the incident date in the FBI report (July,’63 per the FBI report vs. November 20, per Smith/January). Bugliosi wrongly assumes that the DPD visit described by Alexander must have included January, where he failed to mention the incident to the DPD. Since there is nothing to confirm the DPD visit, this is weak criticism. Bugliosi goes on to state that January “invented” the whole incident, calling it a “fabrication”. Bugliosi fails to remark on the fact that January never attempted to promote his story for visibility or profit. He also accuses Matthew Smith of making up additional elements of the story because Smith did not write them about at first. There is no indication that Bugliosi contacted Smith (who is quite alive and still writing in 2013) in regard to this rather serious and slanderous assertion. If he had, he would have found that there was a perfectly logical and reasonable reason for the delay. Setting aside the known effects of time on memory, which Bugliosi does not acknowledge, January is also slammed by Bugliosi for not remembering his own fabricated story. Of course, people who do fabricate stories often take great pains to repeat them consistently. But perhaps a more serious concern is January’s own objection to the initial FBI report, which Matthew Smith first showed him after researcher Harold Weisberg had obtained a copy via FOIA request. After viewing the FBI report, January’s first remark was that he had given the FBI an accurate date for the visit – November 20. His second was that such a visit would never have come to be suspicious to him if it had been months and not days before the assassination. The issue over the date inconsistency might also be more credible if we have not seen numerous instances in which witnesses have taken exception to material in FBI reports – reports which are never initially verified by the interviewee (as is often done in standard police statements). This is an issue that Bugliosi does not mention in general, nor does he mention this specific instance in regards to January. Therefore, he is free to call January a fabricator. And since the reader is supplied with no other frame of reference, he or she has no real alternative except to accept the verdict as handed down by the famous prosecutor. This inability to frame both sides of the argument, which in his introduction Bugliosi says he will do, is a serious and grievous fault in his mammoth book. Beyond all this, there is a much more suggestive incident from Red Bird and Wayne January, parts of which are not mentioned at all by Bugliosi; but one in which certain elements can be totally verified. After numerous visits with Smith, January related an incident which he had previously determined not to share with anyone, based on his original experiences with the FBI and the context of the incident itself. The story involved a series of aircraft sales he had been involved with in 1963 and the last aircraft in the series, handed off at Red Bird on November 22, 1963. He provided Smith with certain information on the aircraft but demanded it be withheld until after his death. His behavior in no way resembles Bugliosi’s claims that he was making up stories for some sort of public attention. Indeed his action shows he was clearly aware of the security aspects of the sales of the particular aircraft in question. Bugliosi's failure to dig into this element of January's information raises questions about how thoroughly he covered material - the aircraft story is mentioned in several of Smith's books — and to what extent Bugliosi was really looking for balance, given that he makes no mention of discussing January's various remarks with the individual who would know most about them at this point in time. January’s basic story was that Woburn Aircraft was selling the planes and that he was in charge of the work required to hand them off to the new owners. The final plane was being taken by an unnamed individual in civilian clothes (later identified to him as an Air Force officer) and a maintenance technician /pilot. The actual inspection and acceptance of the plane was delegated to the technician, who told January that he had been born in Cuba and was a former pilot with Cubana Airlines. The Cuban was extremely familiar with the aircraft and stated that he had extensive flying time in its DC-3 commercial version. While January and the Cuban technician spent long hours that week doing acceptance tests and minor maintenance, they became friendly and had a good deal of time for talk. By Thursday of that week they had discussed the pilot’s participation in support of the Bay of Pigs landings, and also his friends who had died there. The pilot described the Cuban exiles’ pain, embarrassment and anger at being abandoned by the Kennedy brothers. 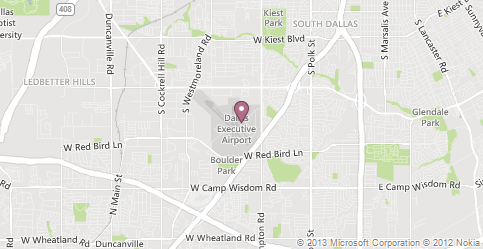 As they continued to chat, the subject turned to the President’s imminent visit to Dallas. The pilot paused, and then he flatly stated to January, “They are going to kill your President.” He knew for a fact that Cuban exiles were going take their revenge and remove JFK as an obstacle. January challenged him but the Cuban would say nothing more, only remarking that January would see he was telling the truth. Matthew Smith describes their dialog in his books but keeping with Wayne January’s wishes, Smith kept his name as the source of the story confidential until after his death. Smith eventually named January only with his widow’s permission. (Again, Bugliosi leaves all this out so he can claim that Smith actually made up the story later. This way he gets to say, in his indiscriminate and inimitable style, that both Smith and January are fabricators.) Only in 2003 did Smith name January and provide specific information on the aircraft. With that information, the story has been explored in further detail. With help from a volunteer FAA employee and confirmation from the Houston Air Center, the author obtained the complete paperwork on the aircraft transaction. 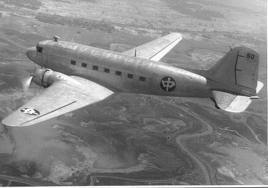 The aircraft in question was a C-53, the WWII era military transport version of the DC-3. This documentation proves the transfer of aircraft did happen. DC-3/C-53 #50 In Flight. After the start of WWII, all former DC-3's of CNAC had been designated C-53. The plane had come to Red Bird in January 1963 and was owned by two different companies there during that year. Wayne January was a partner in both companies. At some point that year, the aircraft had been heavily modified, all the seats had been removed from the plane and it had been reclassified with the FAA as a research and development aircraft. We also know that it had been sold to individuals of the Houston Air Center, but paperwork was not actually completed until it was eventually resold outside the U.S. to a company named Aerovias del Sur. The records place that company’s headquarters in Mexico City, however, defunct companies of that name can be found in Cuba, Mexico and Columbia. Further tracing seems virtually impossible. Another tack in evaluating January’s overall story of the incident is to look at where such aircraft were indeed being used covertly during the timespan of 1964-1965. Records reveal that the Cuban exile autonomous group initiative supported by Robert Kennedy in 1963 was in the process of buying and leasing a broad variety of equipment, both boats and planes. That effort was led by Manual Artime and records demonstrate that extensive “cut outs” were used to shield its financial activities – and the fact that the U.S. was funding the project. Available records confirm that Artime did lease a similar Douglas transport aircraft until his project was closed down in 1965. Artime’s personnel were all Cuban exiles and his funding, purchasing and leasing were all carried out by CIA staff in a highly covert project designated as AMWORLD. Another covert operation involving aircraft and Cuban exile personnel would have been the highly secret dispatch of aircraft and Cuban exile pilots to the Congo, which began in 1963. A joint effort of the American military assistance mission and the CIA, the effort focused primarily on providing B-26 fighter-bombers and Cuban exile pilots. However a number of transport aircraft and technicians were also sent into the Congo in 1964. A third option, and one especially interesting in regard to the modifications and R&D recertification of the Red Bird aircraft, is the fact that a variety of covert air assets were being prepared to go into Laos in this period. In addition, the Air Force was developing the class of modified C-47 gunships eventually known as “Spooky”. The craft were totally stripped internally to allow the mounting of heavy machine guns and cannon. Development of these gunships was underway in 1964 and the first aircraft were deployed into Vietnam in 1964. Therefore, the aspect of January’s story about the pilot being familiar with certain veterans of the Bay of Pigs is supportable. January indicated to Smith that it was his understanding that the series of aircraft being purchased through companies at Red Bird and Houston Air Center were being processed through a series of cut out sales for eventual use in secret government projects. Investigation confirms that such projects and cut out sales were most definitely occurring at that time. It also confirms that Cuban exiles were very much involved in some of them. Of course, if January had gone to the FBI with such an incident at the time, it obviously would have had security implications as well as a negative impact on his own business. Beyond that, it would have likely done little good, as we have a number of examples from both Texas and Miami that show the FBI was not at all interested in following up on Cuban exile assassination leads; even when they had specific names in hand. After 50 years it is virtually impossible to carry Wayne January’s most significant lead to a final resolution. Still, with what has been learned about both January himself, as well as the aircraft sale, it seems rather foolish to write it all off as some sort of fiction. Especially since Wayne January never told anyone but Smith and then only with the promise of total anonymity. If true, it could offer a major insight into the President’s assassination. Matthew Smith, The Second Plot, 268-274. This incident was actually discovered in response to the Garrison investigation’s FBI inquiries in 1967.